Vproof adds high performance online proofing to your web applications and workflow systems. 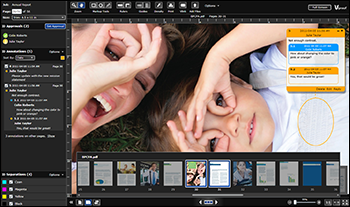 Give users the powerful tools they need to collaborate in real time on a wide range of file formats, including document, image, audio, video and 3D—with rich text annotations, custom approval states, revision comparison and many more advanced proofing tools. Vera is our platform for online proofing and custom workflows. Whether you're a marketing service provider collaborating on assets or a print service provider needing final approval for press, Vera streamlines the approval process with automated task routing. 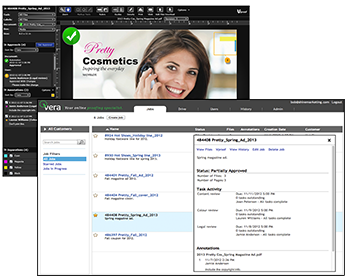 The Vera platform has deep integration with Kodak Prinergy, Enfocus PitStop, Box.com and more.